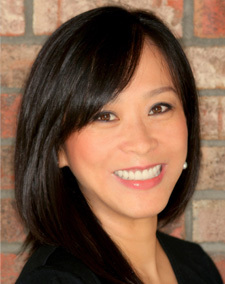 Dr. Zoe Zhaomin Huang is a gentle, experienced dentist. She loves helping her patients develop excellent oral health and beautiful smiles. Passionate about helping her patients’ lead healthier and better lives, Dr. Huang educates each person about dental health and how it affects their overall wellness. She believes it’s important that every patient is pleased with their smile and is confident to share it. That’s why she chose to name her practice “Live & Smile”: she wants people to live happier, healthier lives and to smile comfortably. Dr. Huang treasures the relationships she develops with her patients. She enjoys getting to know each of them during their visits, and loves learning about their families and lives. Having once undergone extensive dental care herself, Dr. Huang understands why some people develop dental anxiety. It’s her goal, and that of everyone in the practice, to eliminate all discomfort during visits. She wants each patient to learn that a visit to Live & Smile is a positive, even enjoyable, experience. Each year, Dr. Zoe Huang takes hundreds of continuing education (CE) courses. She attends conferences and seminars, and participates in hands-on demonstrations and webinars as well. This ensures that she is up to date with the latest advances in materials, technologies, and treatments. Her patients depend on Dr. Zoe to provide them with the best possible care, and her pursuit of CE ensures their expectations are exceeded. Dr. Zoe enjoys being active in the community, and helping to educate people about oral diseases. She volunteers in charity care events sponsored by the California Dental Association. She worked in Chicago for a few years prior to moving to California. She provided preventive dental care to thousands of children at Chicago public schools through mobile clinics. Dr. Zoe grew up in Zhejiang, China. She now lives in Dublin with her husband and their young son and daughter. When she’s not caring for her patients, Dr. Zoe loves spending time with her family and friends, volunteering at school and her church. She also enjoys reading, cooking, and watching movies.